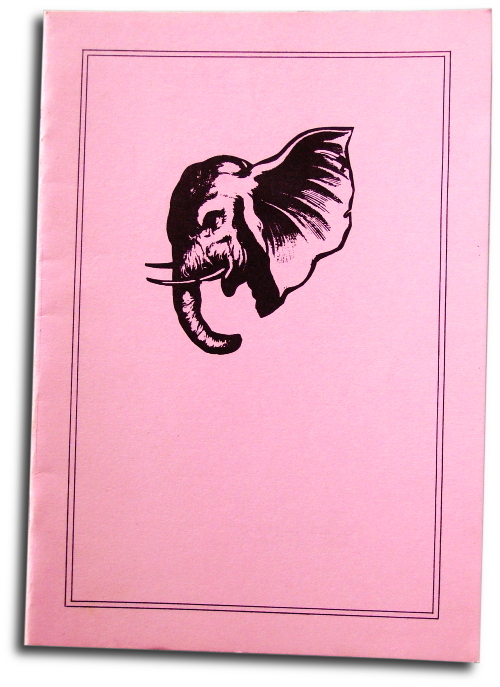 We just discovered an excellent blog by Nick Jones, who has posted on the UK Small Press with a detailed overview of The Elephant of Surprise. 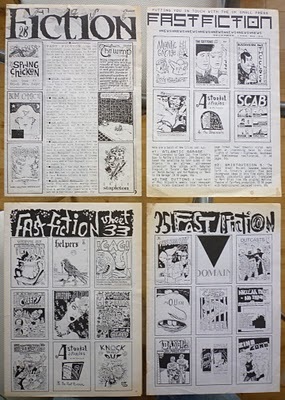 He also has some images of some Fast Fiction info sheets. Which reminds me that we must get around to putting scans of those online here, although it’s not exactly a trivial task. By rights one ought to OCR the text as well, which is not something I’m looking forward to; the sheets were originally produced using an Amstrad PC1512, whose printed font (while legible) is not exactly conducive to the scanning process. Nick’s blog also covers many other aspects of books and comics, and is beautifully written and illustrated.